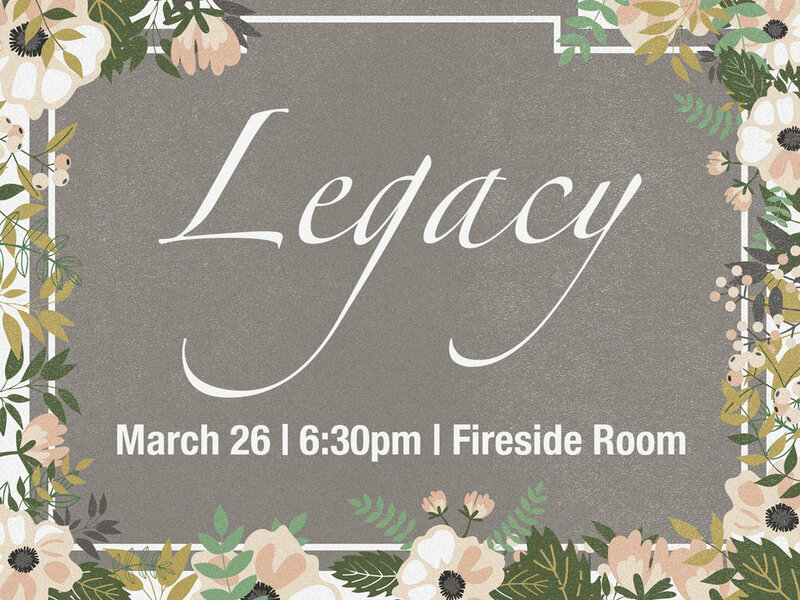 Legacy is an event for women of all ages and stages. Join us for an evening of fellowship, enjoying supper together, and listening to our own Lisa Siebert. Please bring, if you are able, a $5 suggested donation with you the night of the event.